Today, there is a lot of pressure for students to excel, especially at a school like Penn State where the academic level is high. 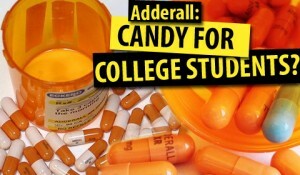 In high school, many students around me were taking adderall to boost their chances of succeeding. The majority of these students were not prescribed to the drug but managed to get it from friends who were. Adderall is a drug that is meant to treat Attention Deficit Hyperactive Disorder(ADHD), a disorder where someone cannot stay focused and lacks the ability to comprehend information easily. Adderall is a stimulant that is meant to help someone suffering from the disease focus. It is a combination of both amphetamine and dextroamphetamine which are stimulants for one’s central nervous system. As a result, adderall triggers the fight or flight systems in one’s body and causes increased blood pressure, sweating, and more. When someone who does not have this disorder takes adderall, it can cause jitters, anxiety, and the inability to sleep. There is definitely an academic enhancement as a result but it does not last. When combined with another stimulant, it can be very dangerous to take adderall. Other stimulants are things such as coffee, certain alcohols, and other drugs. In addition, adderall is considered a Schedule II controlled substance, which means that it is very easy to get addicted to. When someone is a patient in need of the drug it isn’t as much of an issue but for people who don’t need adderall to function properly, there is a high risk of becoming dependent on it and addicted as well. In a study done in 2016, an increased amount of hospital visits was looked at to see if this was due to an increased amount of adderall use. The Journal of Clinical Psychiatry, found that the use of adderall in adults has gone up by 67.1% and emergency room visits due to adderall went up an astonishing 155.9%. 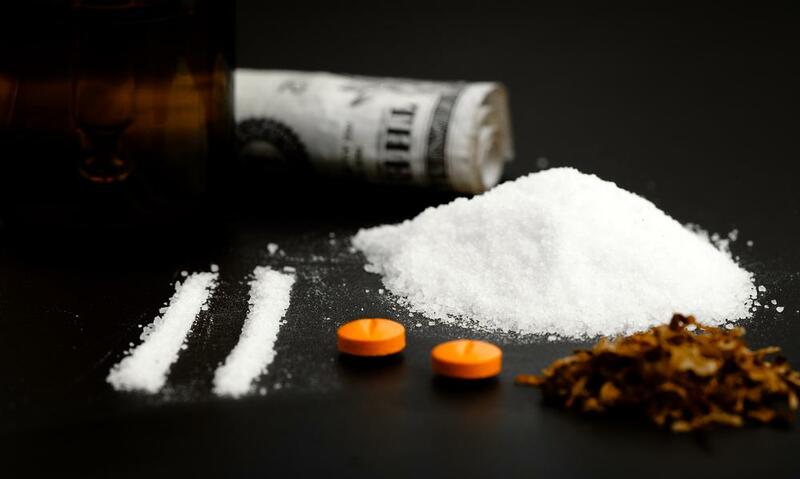 This may be due to the fact that snorting adderall has become a new trend for some people. Snorting the drug has major health effects such as respiratory problems, irregular heartbeats, and toxic shock. When doing this for a long time, there can be problems with one’s brain function. Also, combining adderall with the use of alcohol can cause severe problems for the user like death from alcohol poisoning because adderall enhances how intoxicated someone is. This entry was posted in Uncategorized on October 21, 2016 by Catherine Drinker. As a freshman, I have seen more smoking here in State College than I was use to at home. I grew up in Hermosa Beach, California, where there are strict laws about smoking cigarettes and it is illegal to smoke in public. So walking around I would never encounter secondhand smoke. Here, in State College, I see smokers everyday and have experienced more secondhand smoke than I expected. No one in my family smokes and I have never really been around a heavy smoker but I began to wonder what effect secondhand smoke has on someone. I know there has been many opinions about this topic that contradict each other so I had to do some research to get a better idea of if there were really effects or not. 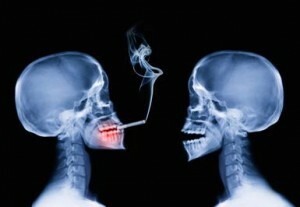 In one study, it stated that secondhand smoke increases one’s chances of getting heart disease by about 30%. The researchers in this study took the effects on someone who was affected by secondhand smoke and compared it with the effects of smoking on the actual smoker. It became clear that one’s cardiovascular region was greatly affected by secondhand smoke and the secondhand smoke has an affect on heart rate, metabolism, and causes inflammation. Another study was a randomized-double blind experiment with 8 men and 8 women. The experiment measured the effects of secondhand smoke in a restaurant before going, after being there for an hour, and after being there for 3 hours. After having been there for only an hour, there were major effects on the subjects. There was an affect on lung function and the men and women were experiencing inflammation. I began to look into secondhand smoke when it came to pregnancy and found out that at all different points of pregnancy, there is a large effect. Prior to becoming pregnant, secondhand smoke has a major effect on fertility for someone who is trying to get pregnant. Once pregnant, secondhand smoke exposure can cause reduced fetal growth. The chance of getting sudden infant death syndrome goes up by 50% when the babies mother is breathing in secondhand smoke. After pregnancy, the babies lungs may face complications as a result. They are more likely to develop asthma or have respiratory problems. After everything I read, it is clear that secondhand smoke does have an effect on someone and in no case is the effect a positive one. Could our backpacks be killing us? A growing concern for parents over the past years has been about back pain in children due to the use of a heavy backpack. A reported 14,000 children go to the doctor or a physical therapist for back pains each year – could this be because of backpacks? As a student in high school, my backpack was always abnormally heavy yet at my school everyone would always “one-strap it”(only carry their backpacks on one side), causing one side of my body to account for the weight of the backpack. I began to question if this was healthy for my body or not because it was causing me physical pain. Apparently, the part of one’s back that is what to be particularly concerned about is the lumbar spine. The lumbar spine is the lower vertebra in one’s spine that is most affected by weight. In a study done to measure if backpacks had an effect on the lumbar spine in children, the lumbar spine was measured for the first time with a magnetic resonance imaging scanner. The children in the study were all healthy prior to this experiment. Hypothesis: The weight of one’s backpack increases disc compression and lumbar curvature. It was found that 92% of students usually carry about 10%-22% of their body weight in their backpack. The study used three boys and five girls around the age of 11, and measured the effects on each child with a 4, 8, and 12 kg backpack. Results: The hypothesis was correct. The heavier the backpack weight, the worse effect it had on the disc compression of the child. This means that backpack weight accounts for the majority of pain children face when it comes to their back. It may not be killing us, but we need to pay more attention to what we are carrying in our backpacks. If it isn’t something you are going to be using in class – don’t bring it with you. To drink or not to drink…a glass of red wine a night? We have been making wine out of fermented grapes for centuries now, and in one survey done in 2014, Americans alone consumed about 893 million gallons of wine. 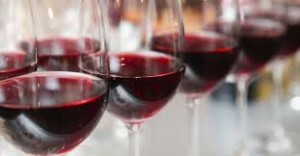 Over the past few years, there have been numerous studies done that have shed light on drinking wine and the health benefits (with moderation), specifically when it comes to drinking one glass of red wine a night (one glass is approximately 5 ounces of wine). To start, red wine is full of antioxidants. These antioxidants that are specifically in red wine, can work together to protect cells as well as defend one’s body against toxics and prevent cancer and other diseases. In a study done by the American Heart Association, the relationship between one’s heart and their red wine consumption was measured. While any type of alcohol (1 to 2 servings a day) has been seen to benefit us, red wine in particular has been thought to have additional benefits. Atherosclerosis is a disease that is due to a build up of plaque inside one’s arteries, which results in severe problems because blood cannot reach your organs. The disease can result in a stroke or heart attack, or in the worst case, death. Red wine was believed to protect someone from this disease. In order to test this, the Copenhagen City Heart Study was put into place. A total of 13,825 men and women were watched for 12 years in order to monitor their alcohol consumption and then as a result, see what effects their consumption had on their health. The people in the study who drank wine, rather than liquor or beer, as a result were in a much better position when it came to their heart health. They had half of the risk of dying from something like heart disease compared to those who didn’t drink wine. To take this study further to look at red wine in particular, 13 studies (a total of 209,418 people) were compared. 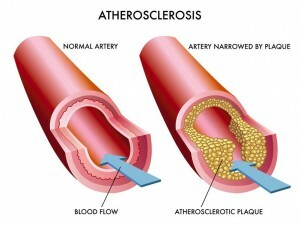 With the consumption of red wine, came a 32% risk reduction to getting the atherosclerotic disease. What wine is made up of seems to be the main reason for why it is so beneficial. It has also been know to increase “good” cholesterol in one’s body which can clear out material what has the potential to clog arteries. Like everything, there is always a down side to a glass day. While it helps protect one’s cells from the majority of cancers, it has been said to increase the risk of breast cancer. 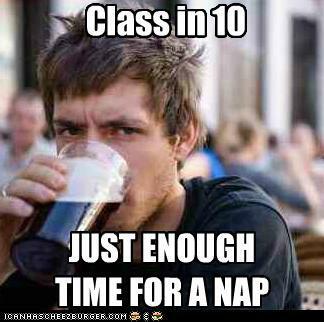 So then the next question becomes: should I start to drink a glass of day if I’m not already? The Center for Disease Control and Prevention suggests that you don’t. They argue that you shouldn’t go changing your routine just because of possible health benefits. On the contrary, in a study done by Alcoholism: Clinical and Experimental Research, results showed that people who drink regularly live longer than people who steer clear of alcohol. The majority of studies I read while researching this topic agreed with this study – in favor of 1-2 glasses a night. This entry was posted in Uncategorized on October 20, 2016 by Catherine Drinker. “You are what you eat” or are you..? Everyone has heard the term “you are what you eat.” The statement implies that what you put into your body is what you will get out of it and have an affect on your appearance and health. To put it bluntly: healthy foods make you healthy, while unhealthy foods make you unhealthy. As an 18 year old girl who lives with many other kids my age around me 24/7, I have started to question this statement even though I have been hearing it all my life. There are both girls and boys who eat the worst foods possible everyday and are still very fit and have not gained weight due to their unhealthy eating habits. What is the reasoning behind this? Could it be because they have a better metabolism than others? Or were they gifted with genes that gave them the body type that looks lean no matter what they put into their bodies? Complete Human Performance suggests the best way to test this would be to have a strong control on a group of people when it came to what they ate and how much they exercised. Specifically how many calories were in their meals and what affect it had on their weight. It is easiest to compare results when the test subjects are as similar as possible when it comes to age, gender, and other factors such as their overall health. 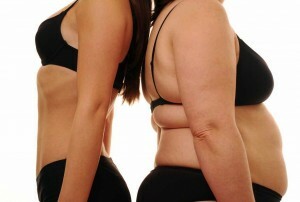 Then, the calorie intake of each person is the same, in order to be able to compare the results. If one person is losing weight consistently, while another is maintaining their weight or gaining weight, it becomes clear that for the person losing weight, there is another factor stronger than the weight gain. Going back to what I mentioned earlier, my next question was: could this be based on the individual’s metabolism? The answer to this question was found easily and is no. One’s metabolism is referred to often when talking about one’s weight but does not account for much of it. The best way to loose weight is to burn more calories than you take in. It is true that some have genes that help them stay skinny, while others have genes that are not preventative when it comes to weight gain, but the best way to stay healthy is to find a caloric intake that is best for you. In addition, a study done in 1921, called “The Longevity Project” 1500+ Americans started being followed by researchers interested in what makes a human healthy. They began to test the question of what the ideal diet and day to day lifestyle for us was. The project shed light on other aspects of life that proved there is a lot more to someone than what they eat. What you do and how you behave plays a major role in one’s health and everything is different. 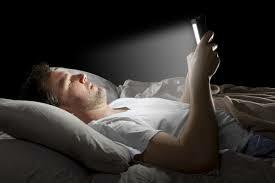 Using A Device Before Bed is Affecting Your Sleep: True or False? At the end of every day, as I get settled into my bed, I have a nightly routine of checking all my social media accounts via my phone. Doing this makes me feel more caught up and like I am aware of everything going on. After, I watch Netflix on my computer, even if I only watch a few minutes or so, I still do it every night because it has becoming comforting for me. 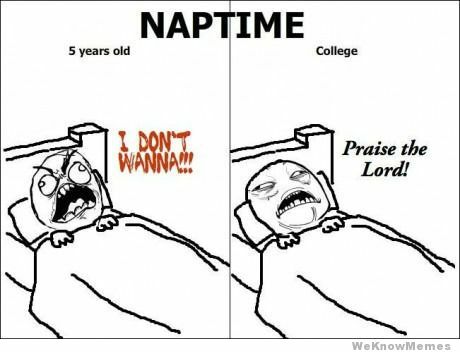 I’ve heard that using your phone or any other device before bed can have effect on one’s sleep but I think it’s a common thing that many teenagers and college students are in the habit of doing. When doing research for this post I was surprised to see just how bad using a screen before bed can be. Recent studies have come to show that using a gadget before going to bed is not only affecting your sleep for that night, but also making the following day more difficult. 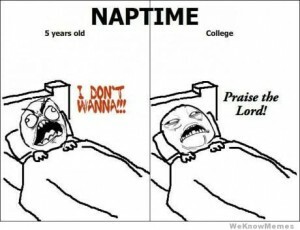 One can feel much more sleepy and almost “zombie-like” during the day because of their sleep quality being so poor. In one specific study done, at a hospital in Boston, Massachusetts, researchers found that phones are not the only thing causing these effects. Basically, anything with a bright screen, such as a kindle, iPad, or television, can be causing negative effects in the device-users life. This study also shed light on some more major effects of using a screen before bed because poor sleep can be linked to diseases such as obesity and diabetes. When using a device before bed, one faces a greater risk of messing up the sleep pattern they need to function properly. This is primarily because of the brightness of the light particles which tell your brain to stay awake. The light messes with your level of melatonin. Melatonin is like a clock inside your body that is in charge of your sleep cycles and patterns. When your sleep is being affected, so is your memory and ability to pay attention. This is obviously something that could be detrimental to college students because a good memory and attention span are two very important skills to have during class. Now, if I were to show this study to every student at Penn State who uses their phone, tablet, or computer before bed, I don’t know how many people would actually change their routine. Checking social media sites has become an exercise that the majority of people practice, especially before bed. Researchers say that the best way to steer clear of getting poor sleep is to read a book before bed – the physical book, not a kindle or iBook. If you are not a reader, it is suggested that you stay off your devices a full hour before going to sleep. This will make for a better night’s sleep and an improved day the following day. This entry was posted in Uncategorized on September 14, 2016 by Catherine Drinker. Which Drug Has the Most Detrimental Effect? In 2013, there was a study done with Americans, over the age of 12, that astonished many people when the results revealed that 9.4 percent (or 24.6 million people) had been an illegal drug user. The study supported suspicion that drug use was higher than prior years when it was compared to a similar study from 2002. Most of this growth is believed to be due to the popularity of marijuana having increased over the years. Since 2010, marijuana has become the greatest produced, as well as consumed drug. Many think that the increasing interest in marijuana will not end any time soon. The use of marijuana can have both short and long term effects on the drug user. Short term effects can range from one feeling panicked to slow reactions to things happening in his or her surroundings. Long term effects can be anything such as a lowered immune system or change in one’s behavior. The effects of marijuana are not nearly as dangerous as the major health problems that can be caused to the user of a more heavy drug. Marijuana has been known as “the gateway drug” which can cause a marijuana user to experiment with heavier drugs after they have tried marijuana and not noticed any horrible side effects. Drugs such as cocaine, steroids, and methamphetamine, have been known to cause abnormal breathing, chest pains, and frequent blackouts. Although, in my opinion, the most detrimental effect is the change in behavior caused by the negative psychological effects on one’s brain. One can suffer from effects that are less noticeable, yet get worse over time. These effects can be anything like memory loss, increased aggression, and depression. The more sudden risks are seizures and widespread brain damage that can take a toll on one’s day to day life. On top of all of that, a major loss in brain cells occurs. Losing brain cells is normal for every human, and thankfully, our brain has the amazing gift to repair the cells and grow new ones. This takes place during neurogenesis. Although, if one’s behavior, such as the excessive use of an illicit drug, is what is causing a major decrease in their brain cell count, it can be too late to fix the problem. After doing research on the topic, it seems that the drug that causes the most overall trauma to one’s body, as well as mental state, is methamphetamine. Meth has been known to literally fry one’s brain cells and can cause such severe damage to someone that their brains become similar to the brains of someone diagnosed with Alzheimer’s disease or the brain of someone who has suffered from a stroke. In addition, once someone becomes hooked, it is one of the hardest drugs to quit. This may be due to the fact that meth is both a dopamine and stimulant. My name is Catherine Drinker and I’m a freshman from Hermosa Beach, California. I am currently in the Division of Undergraduate Studies but am planning on majoring in Marketing in Smeal. 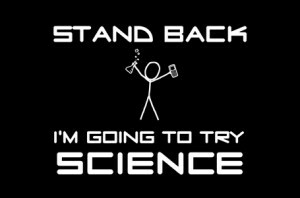 I have never been interested in science and when my advisor said there was a science class that I might actually be excited to be in, I initially doubted him but when looking into SC200 it actually was something I could see myself enjoying it. My favorite thing about SC200 so far, is that in this class I can already tell everyone will have different interpretations and ideas about each topic and everyone’s views will be accepted and also challenge the way I look at things. This entry was posted in Uncategorized on August 30, 2016 by Catherine Drinker.